The fastest way to reach your candidates. Mobile Recruiter notifies recruiters via text message when new candidates are delivered or have responded to a message. Recruiters and hiring managers have full control over how they get notified and how frequently they get notified. By shortening the time to contact, recruiters and hiring managers see significantly higher response rates from their candidates. Reaching out to a candidate within one hour returns a 75% response rate! 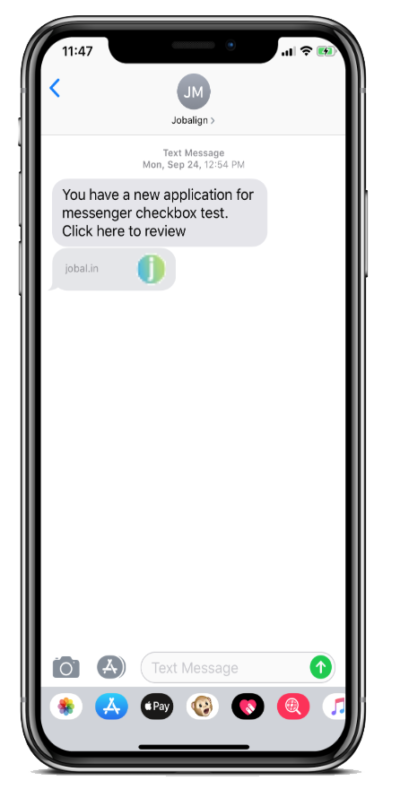 READ THE JOBALIGN MOBILE RECRUITER PRODUCT PRESS RELEASE.